Not every meeting can turn into a festive celebration, but sometimes after you’ve landed the perfect client, brainstormed your next big idea, nailed a presentation, or broken a company record (and it happens to be 5pm), there’s nothing wrong with turning off your computer and turning the WorkParty vibes up. Especially during the summer (because we believe in Summer Fridays Forever). And ever. And so does SKYY Vodka. 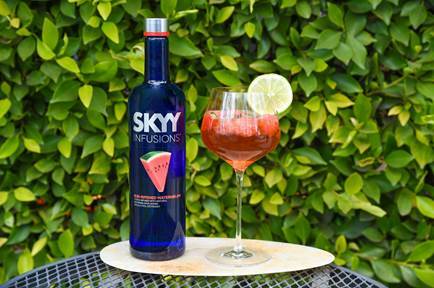 Which is why they’re sharing two summer-perfect cocktail recipes featuring the new SKYY Infusions Sun-Ripened Watermelon, that sound oh-so-refreshing. into a Double Old Fashioned glass over fresh ice. Garnish with a Basil Leaf. * everything in moderation. Drink and WorkParty responsibly. C&C Classifieds: Curology INC, Pressed Juicery, Mattel + more!